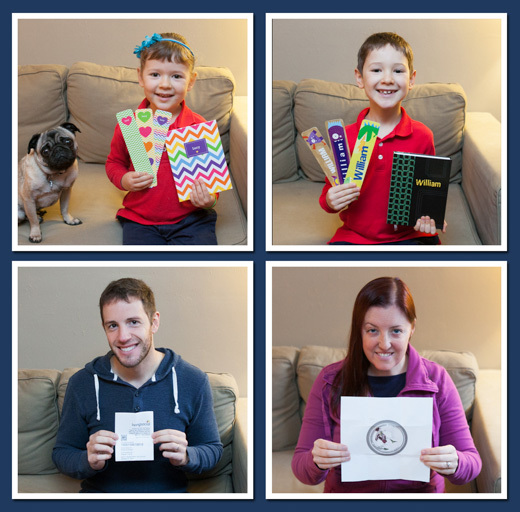 Lucy and Will got their very own journals! They’ve seen Becky and I writing in ours, and now they’ll get the chance too. Plus some awesome bookmarks! Becky opened a picture of a plate. Wait, no, it’s the Chef’s Tasting Menu at Castagna! This place has been on her list for quite a while. Ben received a Livingsocial-pon for a sake tasting at Portland’s own SakeOne! Mmmm.